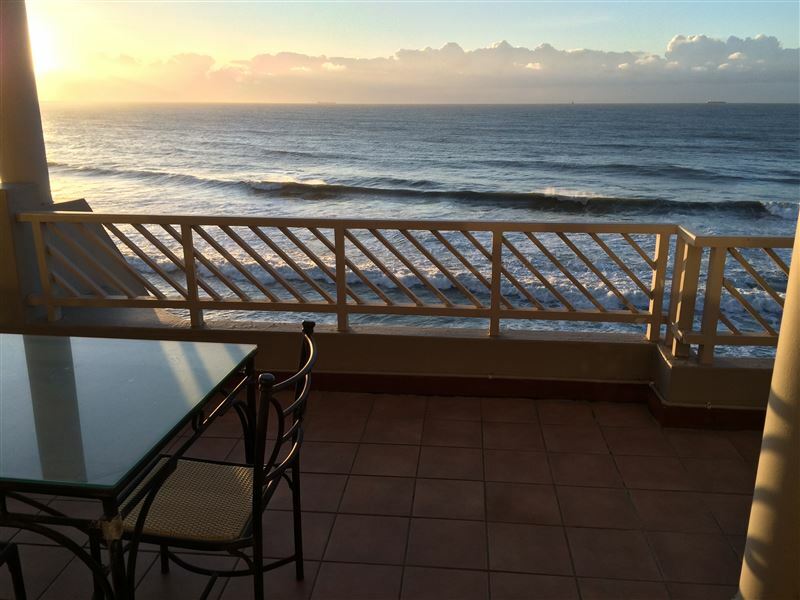 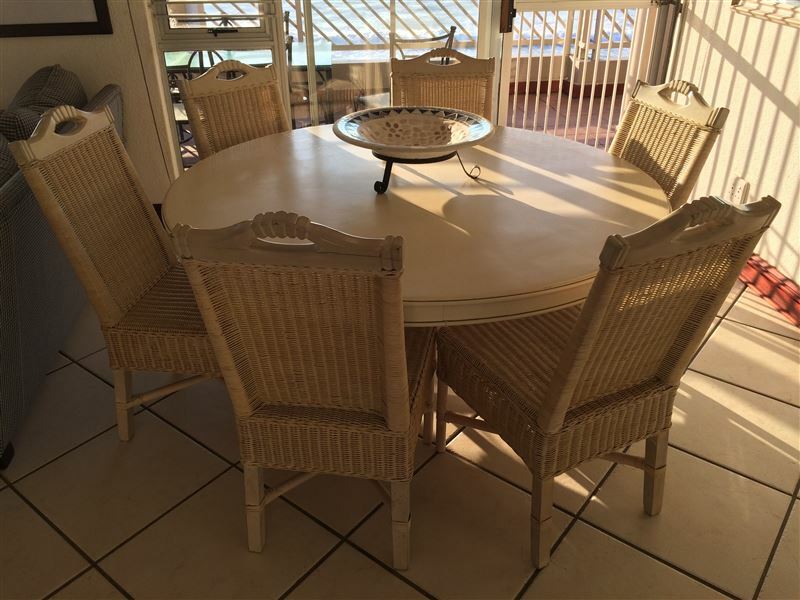 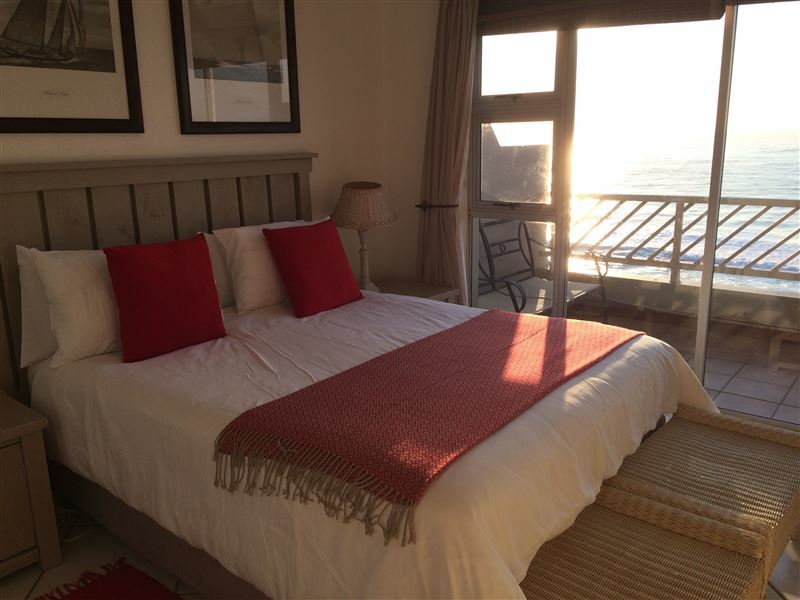 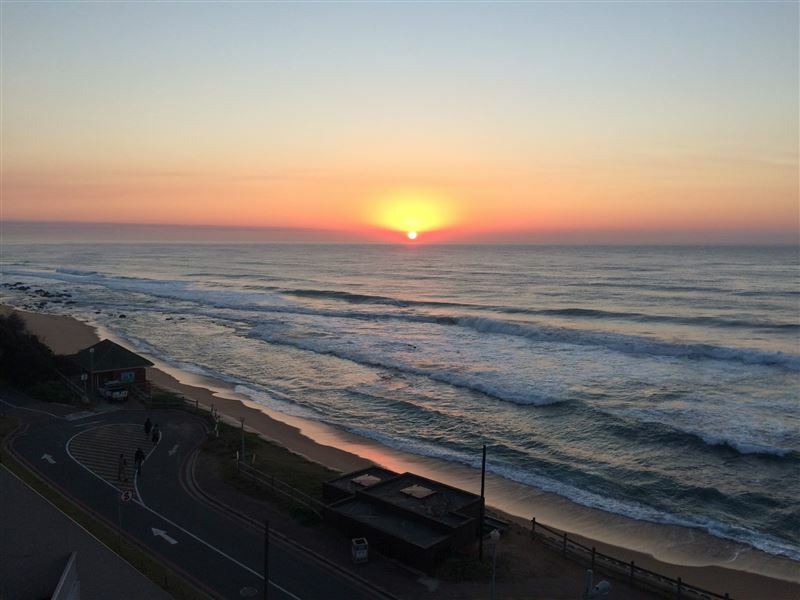 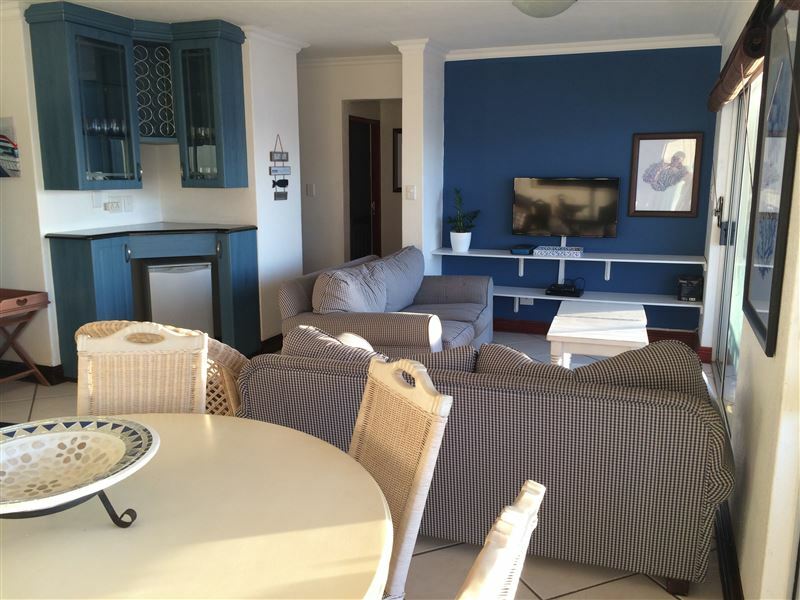 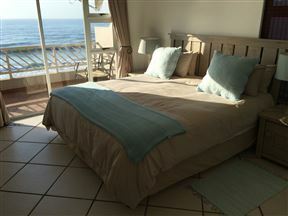 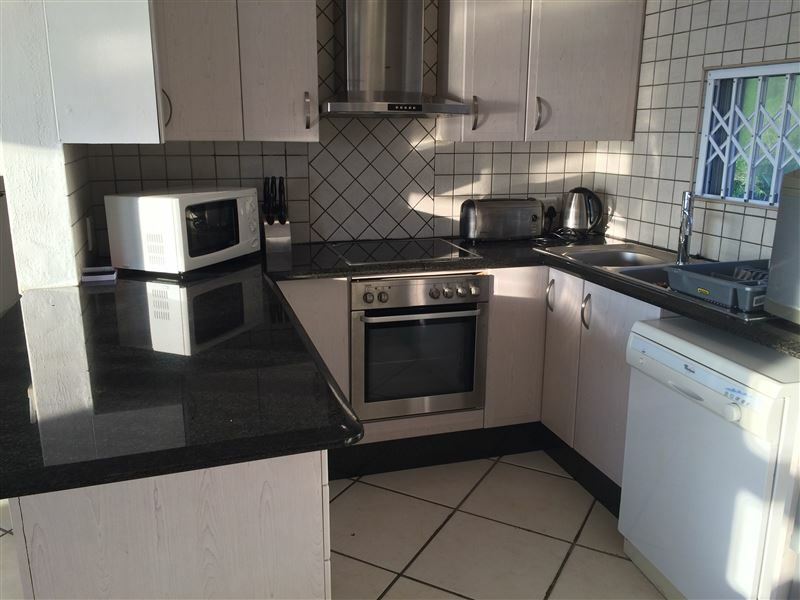 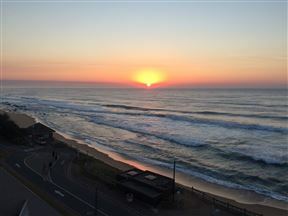 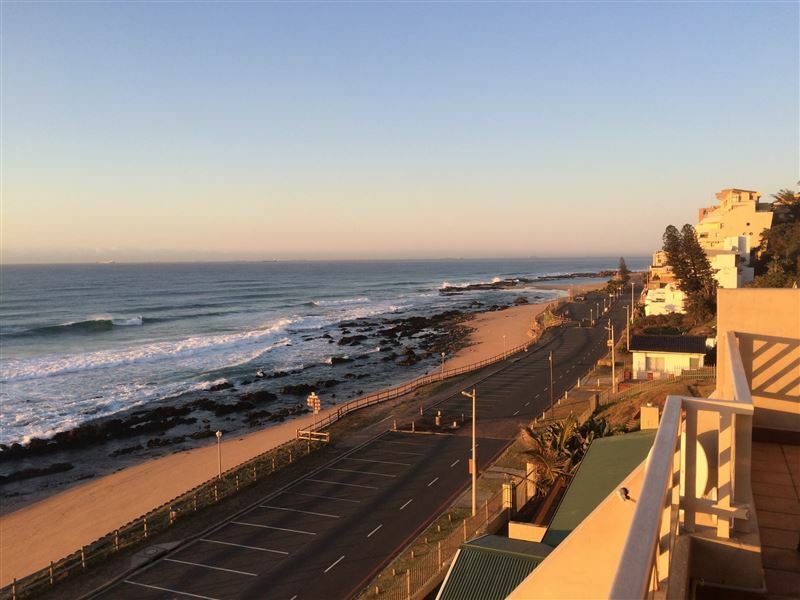 49 Isikhulu is situated in the charming seaside town of Umdloti, mere meters from the stunning beach. 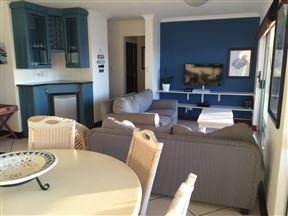 The apartment, which has three bedrooms, features an open-plan fully equipped kitchen, a six-seater dining table, a comfortable lounge with television, and a furnished balcony with outstanding sea views. 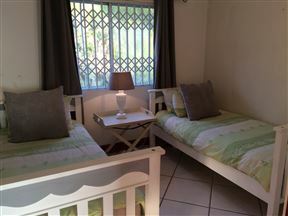 The abode also offers guests a communal swimming pool and parking on the premises. 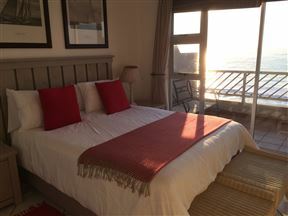 Please bring your own bath towels and beach towels. 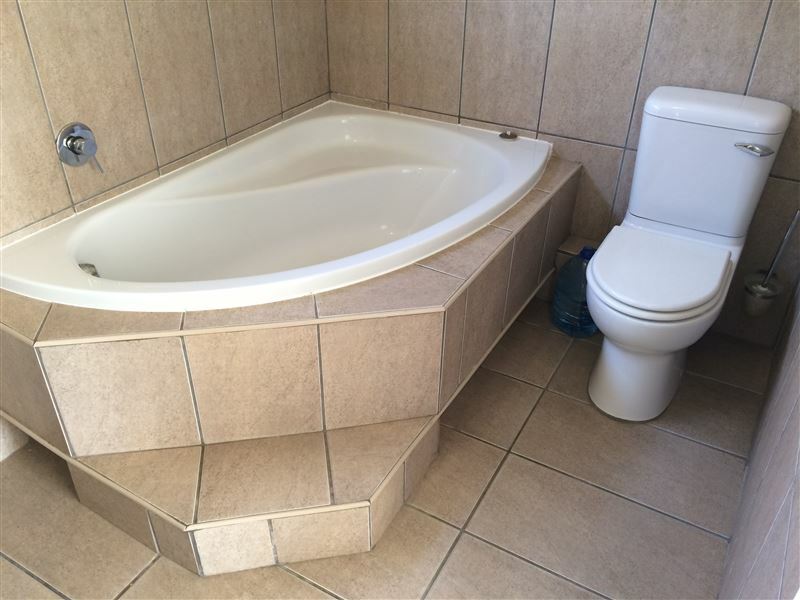 The unit will be serviced daily from Monday to Friday, for 2 hours at a time. 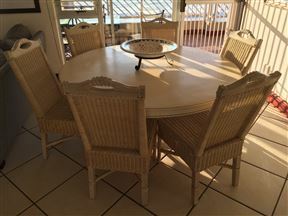 Guests can explore numerous great attractions in and around the area, including the Dolphin Coast Beaches, the many seaside eateries, and the Gateway Theatre of Shopping. 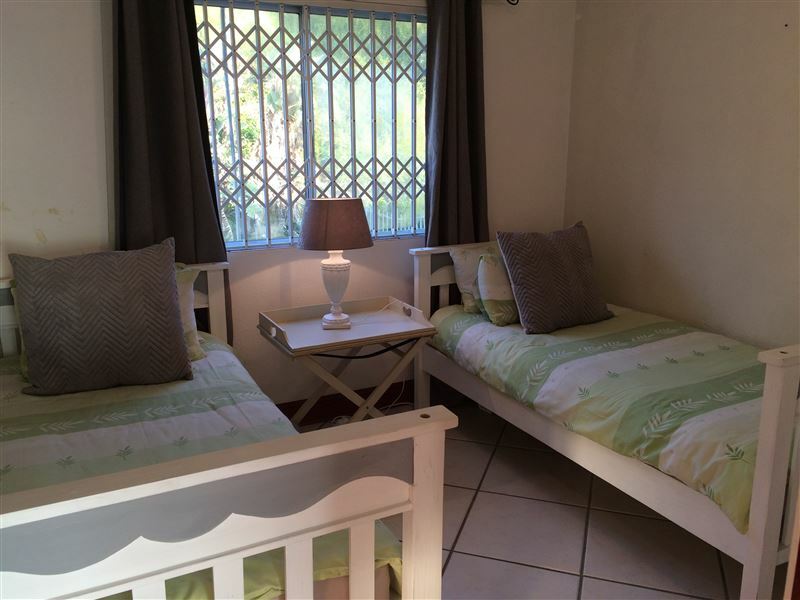 49 Isikhulu has two bathrooms and three bedrooms, of which one room has a king-size bed, one room has a queen-size bed, and one room has two single beds.